We asked Brian Holm, Quick-Step’s sage behind the wheel to get the scoop on how the "Wolf Pack" was born. What started as an inside joke among some staffers and riders a few years ago has evolved into a major part of the team’s identity and branding image. Since then, the “Wolf Pack” motto has become an integral part of the team’s racing philosophy and branding. The team has come up with a Wolf Pack logo and will begin promoting Wolf Pack merchandising throughout the season. The logo appears on the team bus as well as its jersey. The team has taken on the “Wolf Pack” mentality. 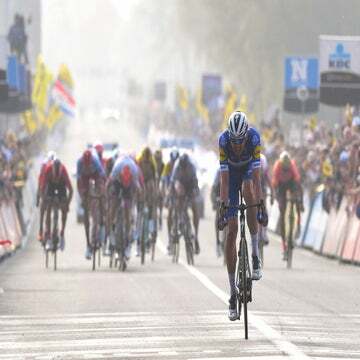 Quick-Step races as a team and celebrates its victories collectively. Of course, a motto isn’t why the team is winning, but Holm said it reflects the values and spirit the team is building inside the team bus. Cycling teams over the years have earned nicknames. Some are thrust upon them (think “Bjarne’s Army”) or others through derision (“The Blue Train”). There was controversy at the Tour de France when journalists started calling Tony Martin “Der Panzerwagen,” which rubbed some people with living memories of World War II the wrong way. 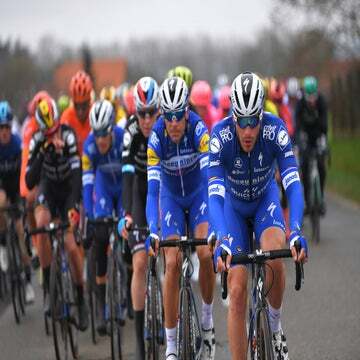 Quick-Step’s ferocious appetite certainly isn’t slowing down despite gorging at the trough all the way across the spring classics. The team is winning on all fronts. 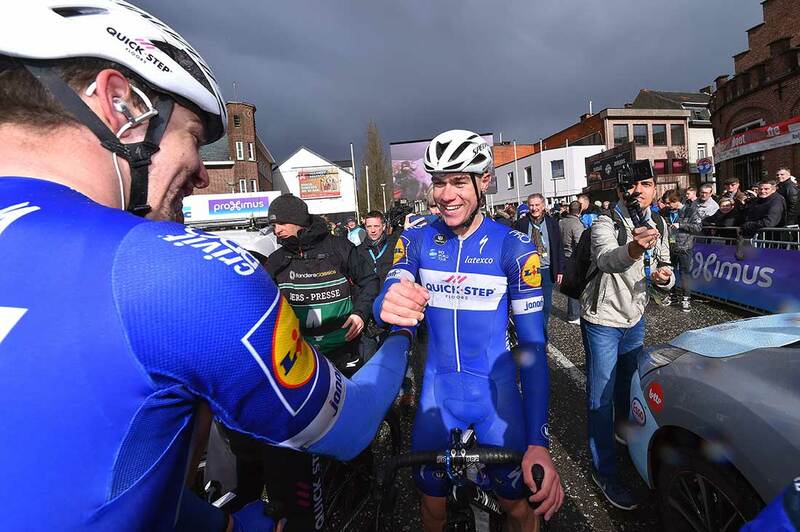 Even with the A-team is taking a breather following Sunday’s big win at the Ronde van Vlaanderen, Julian Alaphilippe won the opening two stages at the Tour of the Basque Country and Fabio Jakobsen won Scheldeprijs on Wednesday. 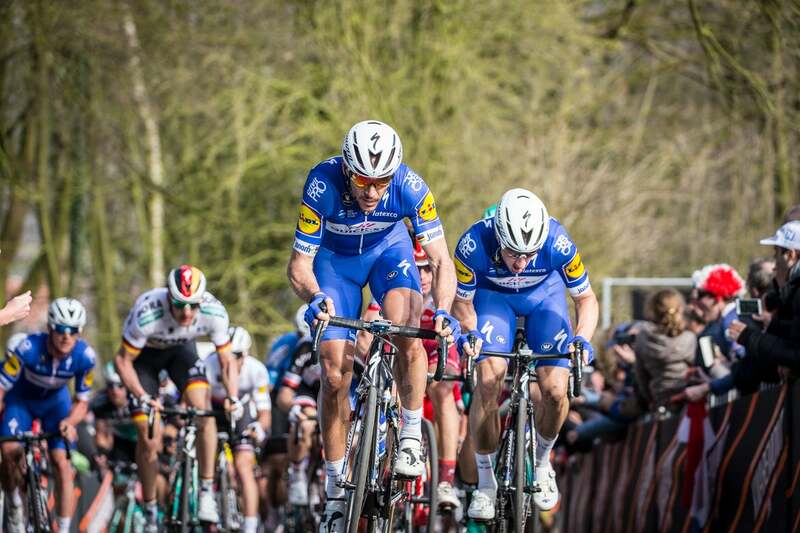 So if Quick-Step is indeed a wolf pack, who is the Alpha Male? Holm didn’t hesitate.